If you discover a fire, evaluate the situation quickly. With a small controlled fire, you may be able to put it out with your extinguisher if you know how to handle one. But never underestimate the danger from fire. If you're not sure you can manage it, let the Fire Department do the work. Some very toxic chemicals may be produced as a result of breakdown reactions from the various parts of construction materials, solvents, glues and other items in the structure. Our state-of-the-art technology can detect and neutralize these chemicals as well as contain hazardous materials. 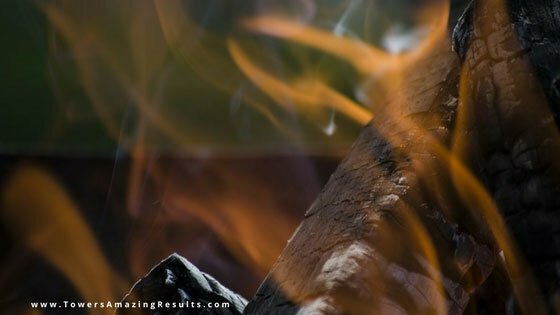 A fire loss is devastating and complex because of the unique behavior of smoke. It is important to have trained technicians at the loss location. Towers Restoration and Cleaning Carpet & Floor Care knows how to handle damage in Midlothian, Texas from smoke, soot and the other results of fire! Towers Restoration and Cleaning Carpet & Floor Care will test for toxic gases and materials and remove smoke odor and soot from the indoor environment as well as valuable electronics, machinery, books, documents, and artwork. Smoke flows through plumbing systems, using holes around pipes to go from floor to floor. Depending on the type of smoke, it will greatly affect the restoration process. Towers Restoration and Cleaning Carpet & Floor Care steps in, takes charge, addresses your concerns and tests the smoke to see which of the following types of fire occurred. Wet Smoke - Low heat, smoldering, pungent odor, sticky, smeary. Smoke webs are more difficult to clean. Dry Smoke - Fast burning at high temperatures. Protein - Virtually invisible, discolors paints and varnishes. Extreme pungent odor. Fuel Oil Soot - Furnace puff backs cause fuel oil soot. Detects and removes toxic chemicals. Detects and neutralizes noxious gases. Restore valuable property back to its original condition, or sometimes even better! Because fires are the second leading cause of accidental death around the home you should know who to call if you ever have a fire. Because of the unique behavior of smoke, fire restoration may be complex. It is important to have an experienced restoration team on your side. Fast treatment will help reduce smoke and soot health hazards. Remember- Immediate action is important. Take action to minimize health hazards and reduce fire related damage to your home or business. Complete the Get Help Now page and a Towers Restoration and Cleaning Carpet &amp; Floor Care expert will contact you for an accurate damage assessment and a free quote.